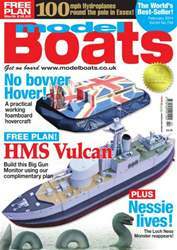 (2 Customer Reviews) | Write Review 13 issues per year Model Boats is the world's leading monthly model boats magazine. From radio control warships to stately galleons, this is a must read! Looking for Model Boats in print? 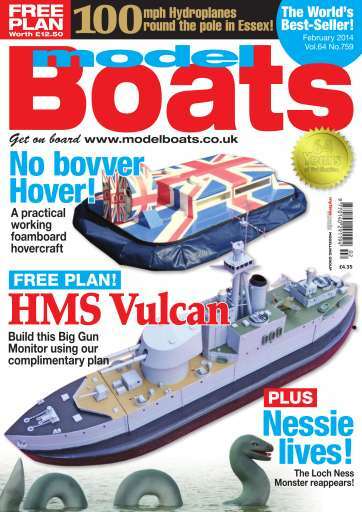 Unfortunately pocketmags.com does not sell print copies of Model Boats, but all is not lost. Our partner at magazine.co.uk sells print subscriptions at the best prices online. This issue features a comprehensive construction article by Glynn Guest for a semi-scale Big Gun Monitor (please note that the Plan for this project is only available with the print version of the magazine). This model is built from balsawood and only basic model building skills are required, so this is an easy project to create an unusual warship. In addition, Gareth Jones returns with his working model of Nessie, the Loch Ness Monster, something that is guaranteed to create a crowd of onlookers! Paul Thomason, a regular supporter of the Model Boats Website Forum has built a working hovercraft from foamboard, thus enabling lightweight construction and with little preparation for painting required. We also have the usual regulars including a Gallery for THV Patricia, a report from the Blackpool Model Boat Show, as well as Range Finder and Flotsam & Jetsam, in which John Parker is looking at Taycol motors. 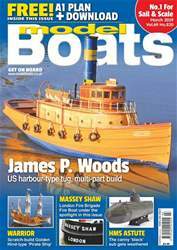 Model Boats is the world's leading monthly model boats magazine. From radio control warships to stately galleons, this is a must read! 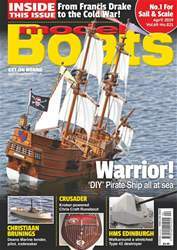 You'll receive 13 issues during a 1 year Model Boats magazine subscription. 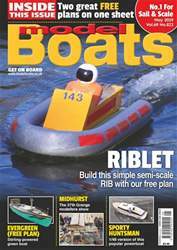 You'll receive 13 issues during a 1 year Model Boats magazine print subscription.